Curraha took a major step towards safety in the Senior Championship with this hard-fought victory over Blackhall Gaels. Played in perfect conditions under the lights in Dunshaughlin it was the experienced senior side who took the lead from a free. The energetic Sean O’Hanrahan got his side up and running from the resulting kick out and he doubled his tally. A James McEntee ‘45’ extended the Curraha lead but Blackhall were getting plenty of possession and with the likes of Alan Nestor in the forward line they were keeping in touch and the sides were level midway through the opening half. Conor Moriarty opened his account with a well taken score but another free from Blackhall had the sides level again. Jack O’Connor had the Ha side back in front and a fantastic solo effort from McEntee doubled Curraha’s lead but again Blackhall came back level with another free and a Nestor point. A late Moriarty point ensured his side would take the minimum advantage in at half time with his side leading 0-7 to 0-6. It was the Batterstown/Kilcloon side who came out of the blocks the better after the break and raced into a one-point lead after two quick scores. Curraha were starting to get on top in the middle third and O’Connor raised the white flag on three occasions when scoring some great frees. A Nestor point had the deficit back to one but four unanswered points swung the advantage back in favour of the Curraha side. The first of these came from David Coyle, while O’Connor got his fifth of the game with a wonderful score with his left. David Toner also got in on the act with a brace of points. Curraha looked in full control now Blackhall got a life line when Donnacha Tobin got his side a penalty which was expertly taken. With two between the sides now the game was in the balance but a Moriarty free ensured Curraha would get the victory. 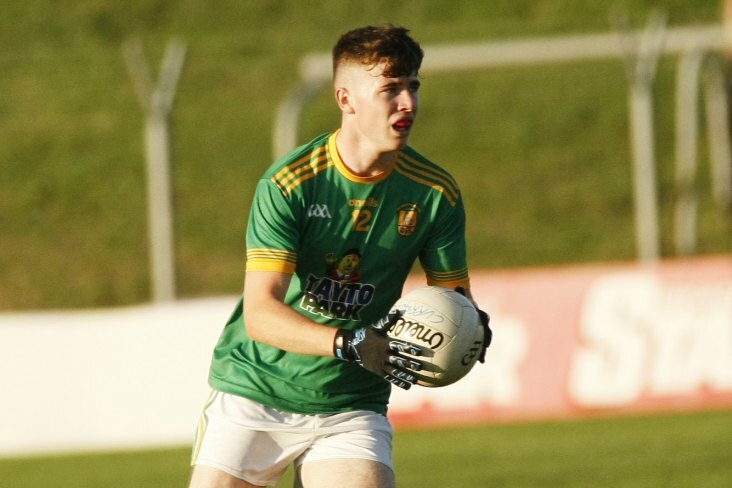 Curraha: L. Hogan, M. Jackson, P. Dowling, S. Hogan, G. Coyle, N. Shortall, S. O’Hanrahan 0-2, D. Toner 0-2, J. McEntee 0-2, A. Battersby, B. Murphy, P. O’Hanrahan, D. Coyle 0-1, C. Moriarty 0-3, J. O’Connor 0-5.